(Alexandria, Va. – April 30, 2018) The Alliance for Parking Data Standards (APDS), recently formed by the International Parking Institute (IPI), the British Parking Association (BPA), and the European Parking Association (EPA), is a not-for-profit organization with the mission to develop, promote, manage, and maintain a uniform global standard that will allow organizations to share parking data across platforms worldwide. 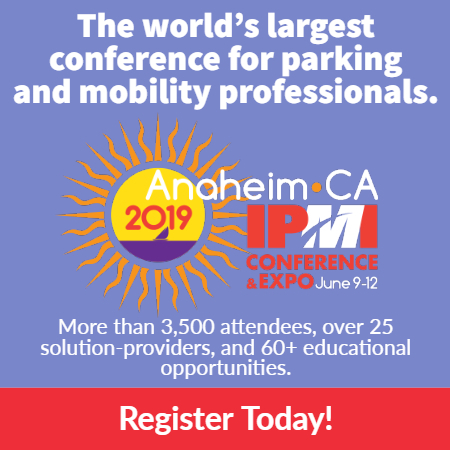 The new Alliance will integrate the International Parking Industry Payment Standards (IPIPS) developed by EPA and already available, and the Data Exchange Standards (IPI-DataEx) being developed by IPI. The IPIPS protocols ensure interoperability and help simplify the complex world of e-payments in parking. The Alliance data standard will cover the full range of parking data elements, including parking location information and transactions, pricing, and occupancy/utilization.